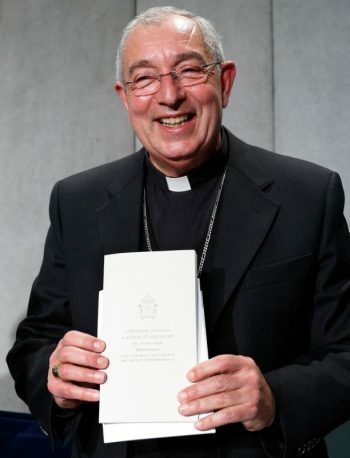 VATICAN CITY (CNS) — Pope Francis’ new document, “Gaudete et Exsultate,” shows that holiness is not an impossible task nor is it something to be pursued far removed from today’s world, said the papal vicar for the Diocese of Rome. Deacon Adam Hincks, a Canadian Jesuit continuing his theological studies for the priesthood in Rome, told Catholic News Service that some features of Ignatian spirituality — referring to St. Ignatius, the Jesuit founder — shine through in the document. Holiness is “as a path toward God” with saints and prophets acting as signposts indicating the right way for the faithful to go, said Haidari, who earned a master’s degree in religion and cultural mediation while in Rome. The pope’s document, he said, shows people that the path toward holiness is wide — meant for all people to journey, not just scholars or clerics.